I don't often wear a bracelet but I do always wear a watch. A watch is one of my constant accessories that I reach for every morning and that I pretty much feel naked without having on me. There are a number of things that are important to me when shopping for a watch, it's all about the quality. I like to have a good weight to a watch, it must be simple and pretty with not too much bling, have a face background without much fuss and basically just be a timeless timepiece if you like; something that will go with almost any outfit. With all of that explained you can see why I have been drooling over the most wonderful and quality watch brand out there; Rolex. 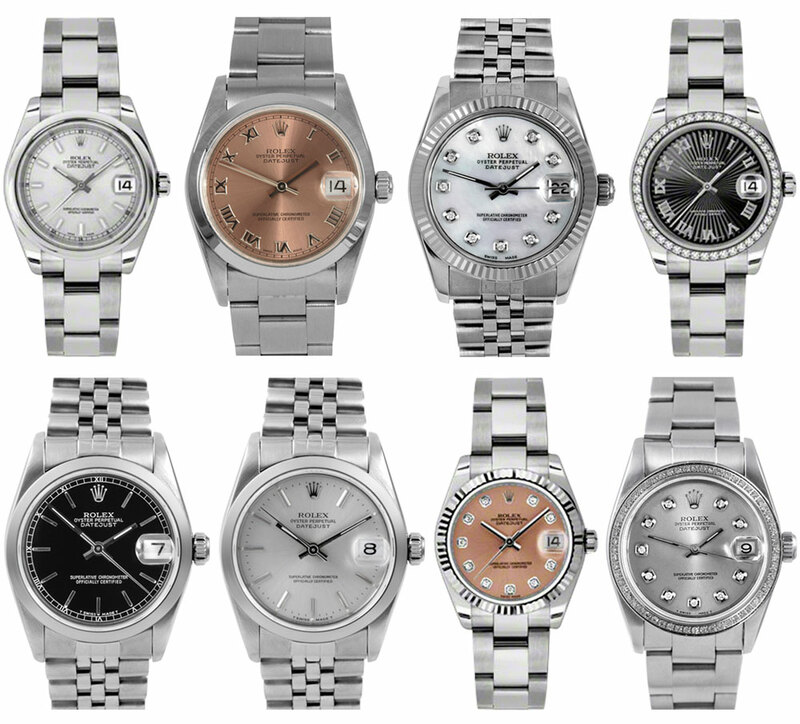 This collection of ladies watches are just the most perfect silver watches I have come across, I would do (almost) anything to get a hold of one to be my special piece of formal wrist wear or even just to gaze at in it's case on my dressing table. Of course the mens watches are just as gorgeous and Shaun's been looking at them in a longing manner for as long as I can remember, in fact he's probably the reason that I've become such a fan of Rolex watches in the first place.